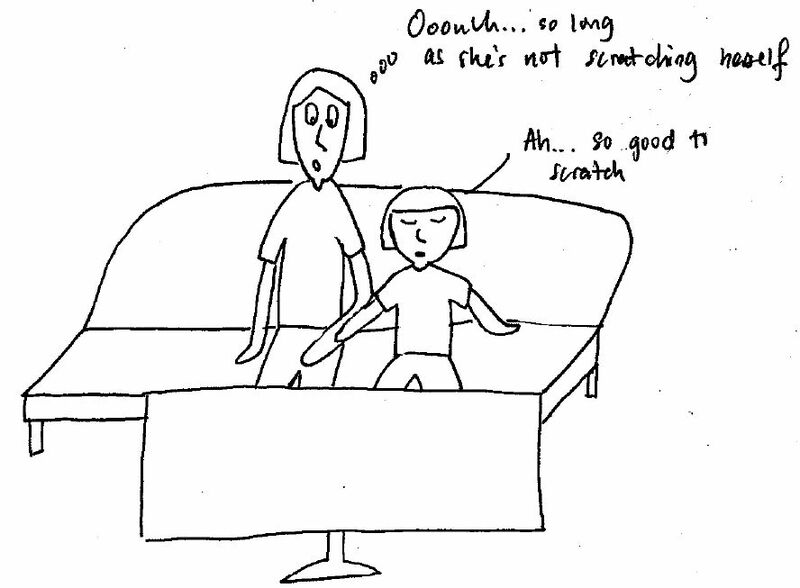 37 of the 101 things that Moms with Eczema Child do Differently – Being Scratched! Posted byMei 16 April, 2012 27 January, 2012 2 Comments on 37 of the 101 things that Moms with Eczema Child do Differently – Being Scratched! This is the 37th of my “101 Things that Moms with Eczema Child Do Differently“, a tongue-in-cheek look at the many unique situations that we face. For more cartoons, click here to view. Nice post 🙂 I love this one and if you do your next blog please add some information and be detailed.